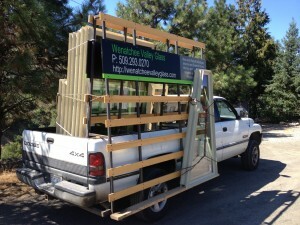 Wenatchee Valley Glass is proud to be a Ply Gem Window Dealer. Ply Gem windows are a great choice for new construction and retrofit applications. With both double and triple pane options that qualify for the Chelan County PUD rebate program Ply Gem is also an economical replacement window option. Call or email Wenatchee Valley Glass to schedule an appointment for an estimate today! Ply Gem Windows being delivered to a jobsite.